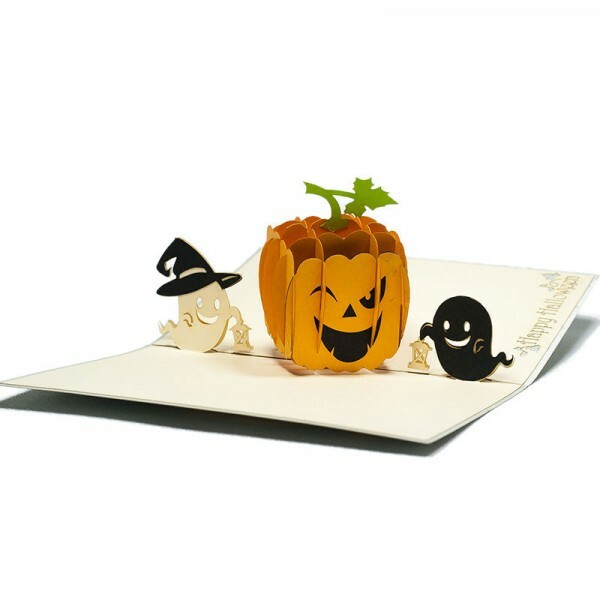 Get ready for a great Halloween holiday with fabulous Halloween sayings and Halloween pop up cards. Halloween is coming so close, it’s time to wish summer goodbye for another year and look towards an autumn with cool winds and romantic falling leaves. Whether you are looking for a fun, creative way to spice up your Halloween festivities or an ingenious way to spook your friends and family, our Halloween sayings can help you deliver the bang you need to make this Halloween memorable. Did you see the flying witch, the whispering branches and laughing moon? The night is scary; Carve me out a glowing pumpkin and let’s head to the highway. Happy Halloween. It’s positively ghastly outside. It must be Halloween! You have a good one! 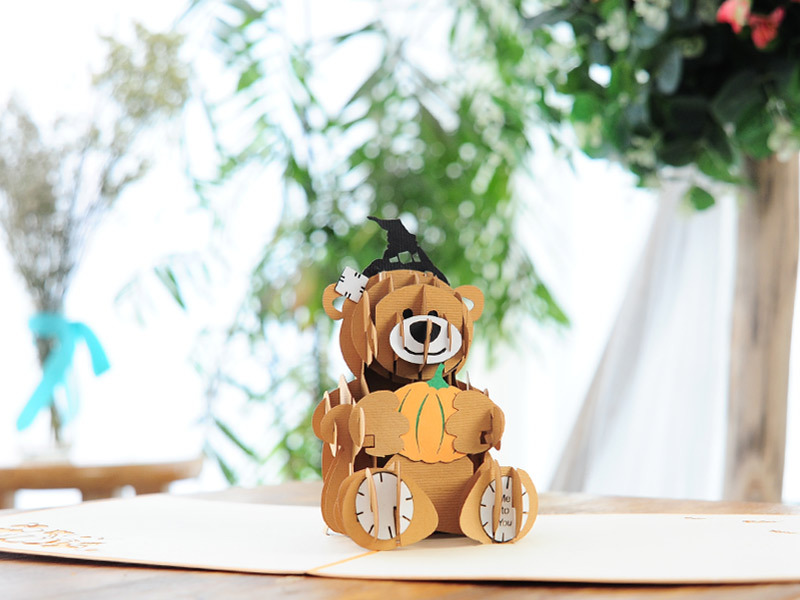 To help get you in the mood for this Halloween season, we’ve put together this great selection of our favourite Halloween pop up cards, the perfect inspiration for your upcoming special occasions in the cooler months. CharmPop has been proudly producing 3D pop-up handmade cards to help you say your feeling and do the right thing to your loved ones for any occasion: Christmas, Birthday, Valentine, Anniversary, Congratulations… Make sure to stock your store with these excellent and entertaining summer pop up cards. Me to You Bear Pop Up Card has an orange cover with a happy bear pattern. The image reveals just enough of the surprise inside. 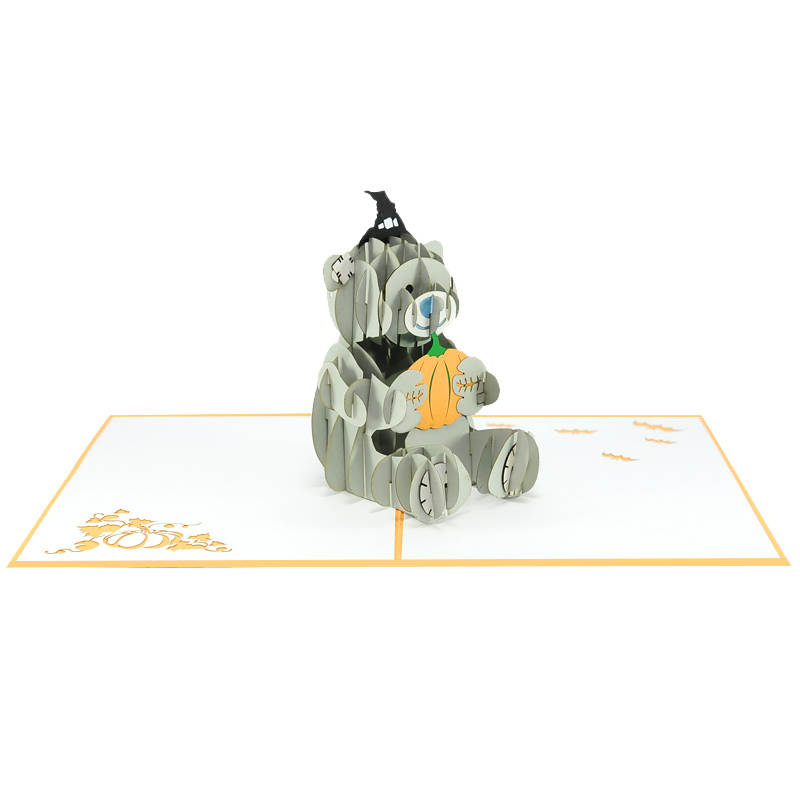 Open the card and you will find a stunning three-dimensional sculpture of a lovely tatty teddy bear holding a Halloween pumpkin showing your love to the lucky recipients. Tatty Teddy’s timeless illustrations have been popular with young and old alike, communicating warmth and happiness, and touching people’s lives all over the globe, in all situations. It could be either a great gift for children or a love gift for any couples on this Halloween season. The lovable, vulnerable and gentle characteristics of Tatty Teddy will bring the brightest smile on your lover’s face. 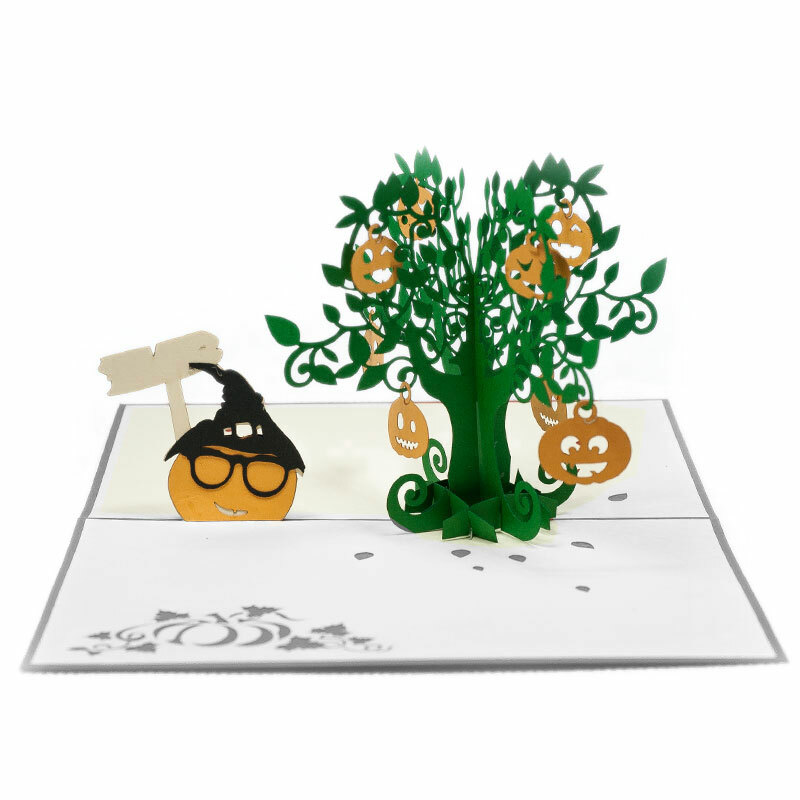 The front of this gray Pumpkin 3D Card features a laser-cut illustration of a smiling pumpkin. 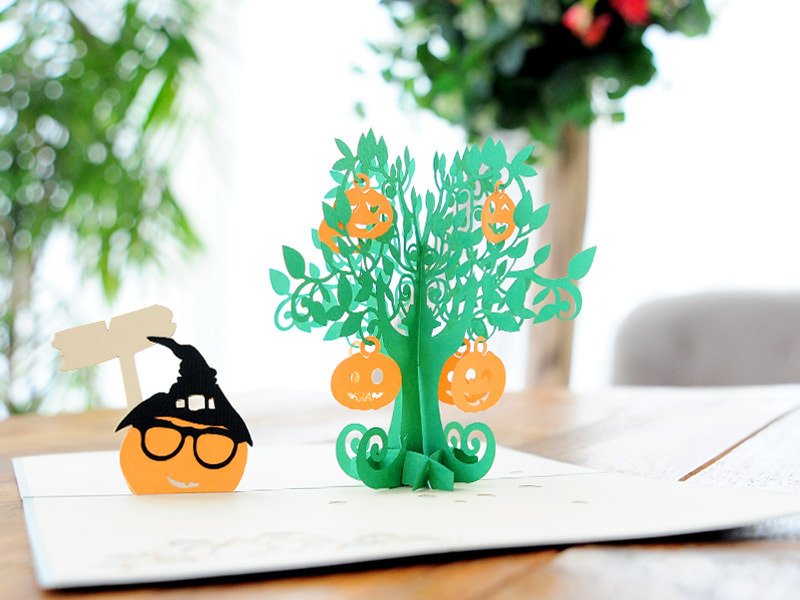 Once opened this stunning card reveals a happy pumpkin and two little fun ghosts. Our designers have carefully measured all the details to create a perfect sculpture. 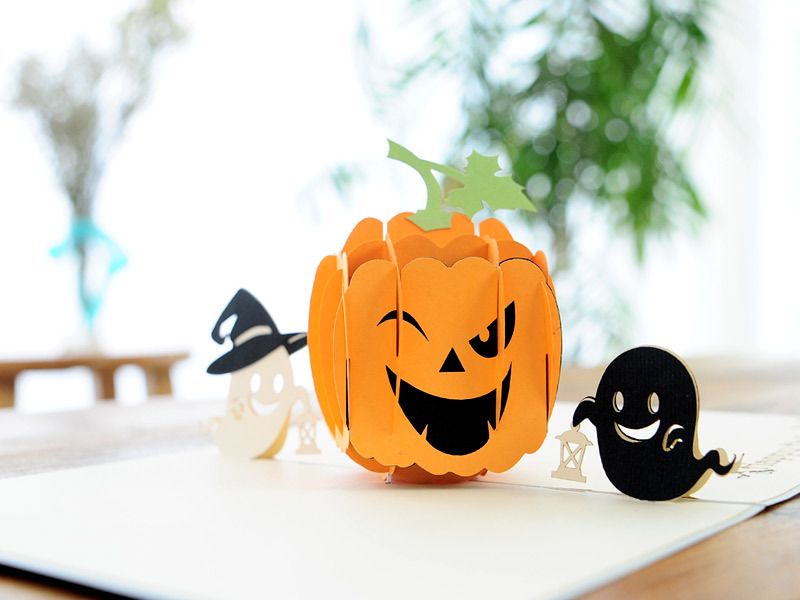 Hey Buddy!, I found this information for you: "Halloween pop up cards and wishes". Here is the website link: https://charmpopcards.com/halloween-pop-up-cards.html. Thank you.